Five new inductees have been elected to the West Memphis Sports Hall of Fame. 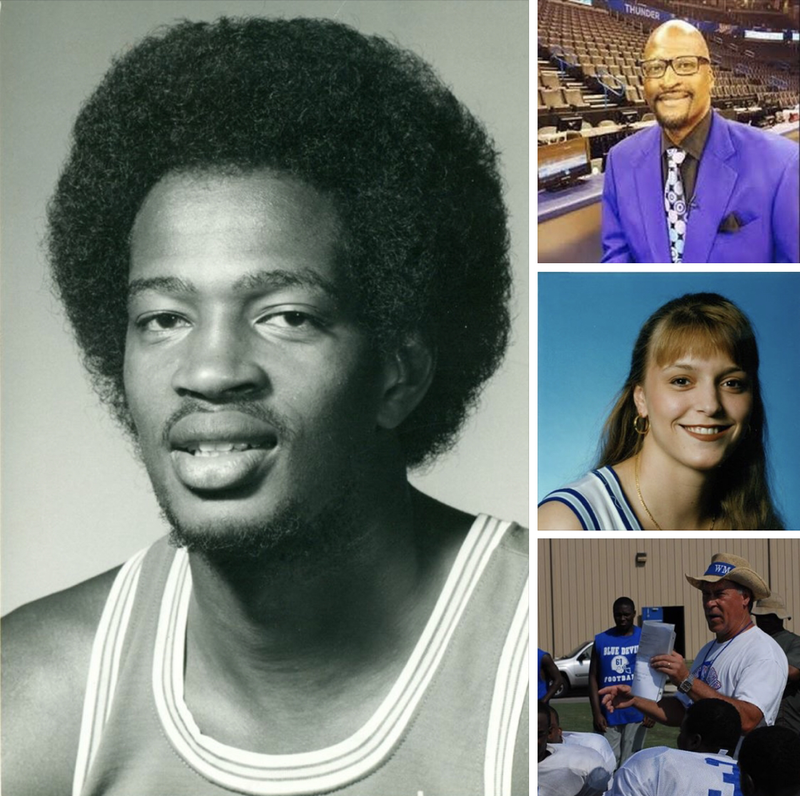 The fifth class of Blue Devil greats will include the famous 1980-81 60-0 basketball teams that were coached by Bill Terwilliger, as well as girls basketball player Niki Bolden Bray, former head football coach Lanny Dauksch, former football star Cleon Brown and former track and field distance runner Cornelius Tate. The induction banquet for the five will be September 26 at Southland Racing. The Hall of Famers will also be recognized at the Marion-West Memphis football game on September 27 at Hamilton-Shultz Field. Ticket information will be announced later in the summer. "Last year's Hall of Fame banquet was exciting and I think this year's will be even more exciting," said West Memphis athletic director Larry Bray. "We have some outstanding athletes that will be inducted. A lot of people come from a long way to our banquet every year and I think this year will be no different. Our community has responded to the event very well each year." The highlight of the inductees will be the undefeated Blue Devil basketball teams that set a state record for consecutive wins at 60. The two teams won the first state championships of any kind in school history. The two teams featured two future NBA Draft lottery picks, making West Memphis the only high school in Arkansas history to ever have that distinction. Big men Keith Lee and Michael Cage went on to All-America college careers at Memphis State University and San Diego State respectively and both were high picks in the NBA Draft. The 6-10 Cage was the 14th pick of the 1984 NBA Draft by the then-San Diego Clippers. The 6-10 Lee was the 11th pick of the 1985 NBA Draft by the Chicago Bulls, who immediately traded Lee to the Cleveland Cavaliers. Dauksch coached the Blue Devil football team for 13 years, leading the squads to a record of 117-40-1 with nine conference championships, eight of which were consecutively, three consecutive appearances in the state championship game and three undefeated regular seasons. Bolden-Bray was the Most Valuable Player in the 1992 state basketball tournament at Russellville that year, leading the Lady Devils to their first-ever state championship. Bray also played collegiately at the University of Memphis and subsequently won multiple Tennessee state high school basketball championships as a head coach at Memphis Central. Brown was a dominant lineman for head football coach Grafton Moore at the end of the 1970s and into the 1980s, where he was an all-state selection. Brown went on to play on nationally-ranked teams at the University of Central Arkansas, where he earned All-American status.